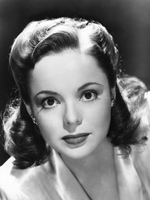 Nancy Coleman was a contract player for Warner Bros. Studio in Hollywood. She played the role of the angel. I liked her.